On April 14, 2011 the Monkeez Wrist Rattle and Monkeez Baby Booties have been jointly recalled with Midwest-CBK Inc., Health Canada, and the United States Consumer Product Safety Commission (US CPSC). 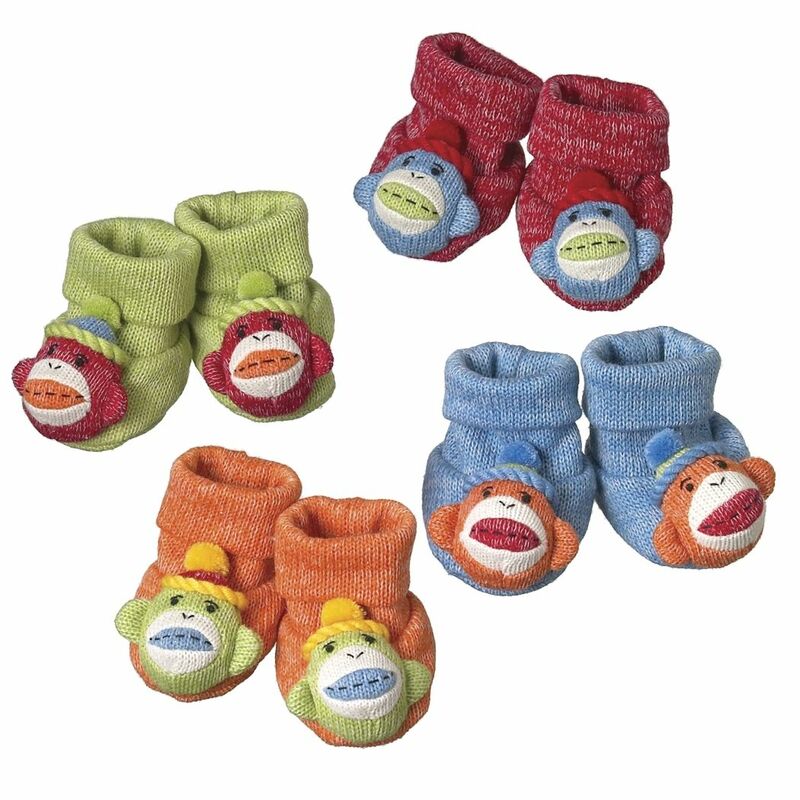 This recall involves the Monkeez Wrist Rattle and Monkeez Baby Booties by Midwest-CBK Inc. The pom-pom on the top of the monkey head on both items can detach, when applying adequate tension on the pom-pom, and release small parts. This poses a choking hazard to children. Midwest-CBK Inc. received one report in the United States that a pom-pom from a wrist rattle detached into the mouth of a six month-old; there was no reported of injury to the child. At time of the recall Health Canada has not received any reports of incidents or injuries related to the use of these toys. You should immediately take the affected toys away from young children and return them to the place of purchase for a full refund. Approximately 624 of the Monkey Wrist rattles and 712 booties were sold in Canada at various retail stores. In the United States, approximately 10,000 wrist rattles and 11,000 pairs of baby booties were sold. These recalled products were sold from June 2009 to March 2011 in Canada and the United States.